Tigerlilly Quinn: My every day skincare - hair and make up routine! I don't really do many beauty posts, mainly because I don't really feel 'qualified' enough. Because this blog is just about my life and my family and the things we do, I don't really have a skill to share or a debate to be had and shared. It's mainly just a little diary of our days. However, I do wear make up, and wash my hair so I thought I'd share with you the products I use every day in case it's of any interest. 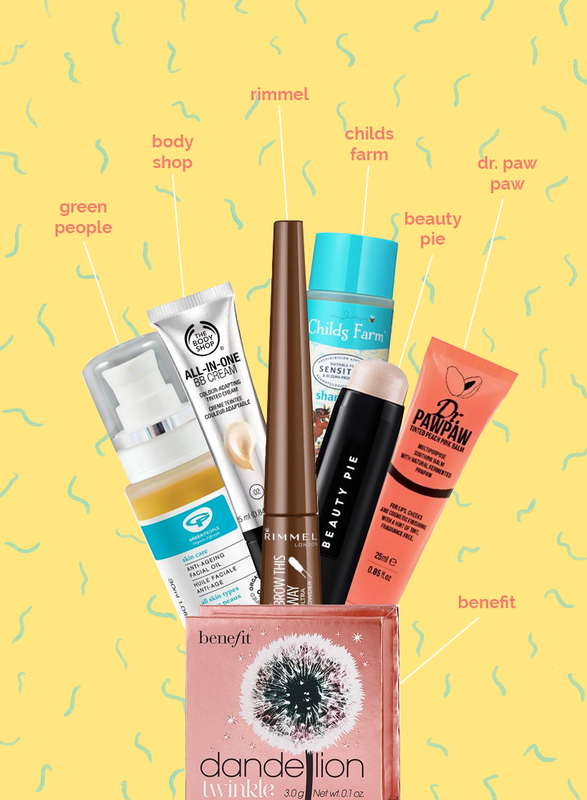 I've got to warn you I'm a majorly low key kinda gal when it comes to products so if that's your bag you're in luck! So my basic daily skin care is washing my face with the Balance Me face wash which I find to be really gentle but effective! I then moisturise with Green People anti ageing facial oil which my skin just loves, it drinks it up in the winter but is a good all year rounder I think! I use the Body Shop BB cream most days, I don't go majorly heavy with foundations and if I use one I'll just use a tiny bit where my skin is a bit red (so by my nose or under my eyes). At the moment I have a bit of the Beauty Pie foundation I'm just using up before I try another! I also use a bit of the Beauty Pie high-lighter stick which I really like and then put some of the Benefit blusher on the apples of my cheeks. I'm liking Dandelion at the moment but I have a few of their blushes and always love them. I know people rave about the Hula products too but I feel like I'm way to pale for them. I use Green People mascara most days as it's really good but feels super light, I don't like the feel of things on my eyes to much so thats a winner for me. Plus the brush isn't clunky. I also use the Stila liquid eyeliner pen. Lastly I pop on a bit of the Dr Paw Paw tinted peach balm on my lips and a little on my apples for a healthy glow. I LOVE this product and carry it everywhere, this is my favourite shade though. A quick aside about my hair. Three months ago I ran out of shampoo and started using the kids Child's Farm ones and it is honestly the BEST. I always get build up with shampoo even if its the nice organic stuff, I think it's because although my hair is fine there is loads of it so unless I have time to blow dry really extensively some ends up damp still and then gets greasy really quickly. This is the only shampoo I've found that not only really washes it's super gentle as its for kids and makes my hair feel really clean and soft. That's it! Hope that was helpful for anyone, I'd love to know what your must have go-to everyday products are? Let me know in the comments! I went to a celebrity make up master class this weekend and they were raving about Beauty Pie! I hadn't heard if it before so it's interesting to hear that you love it too! I love your line up of daily products, I have to admit to being a Dr Paw Paw fan, they are great for lips and sore dry skin! So many great brands here. I've been using Green People for years and love it! That's quite an extensive routine compared to mine! I use Clinique face wash and moisturiser in the morning... and if I'm feeling particularly daring I'll but some mascara on and that's it! Sometimes I wonder if i'm rather strange.... :)!